Anyway, a parallel port, designed to control a electro-mechanical device like a printer, provided the most direct way of interfacing with external electronics. What I am interested in was to get the old PC to do more, allowing what logic we could program in to interface with the physical world. Bread boards are the standard way of experimenting with circuits, never liked them, wires came loose too often and it is just a hassle to diagnose. Pref boards are better in that you can easily solder components on, and they stay put. Holds everything nice and tight. Point to point construction is similar, but for different applications. The circuit gets really tight, things don't get wasted. 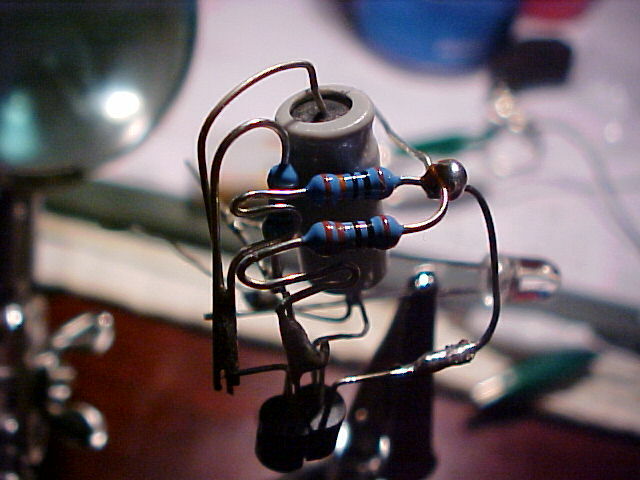 Most of the legs from the resister or diode or capacitors gets preserved. The packaging can get more creative too, once the dremel skills are in place. You can get pretty neat results if done right. 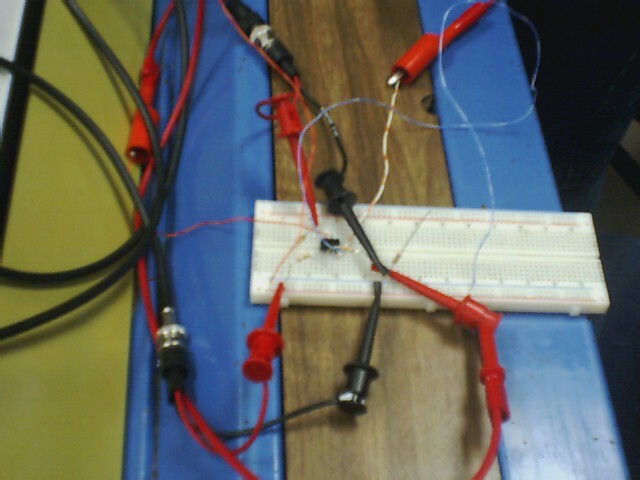 This circuit is from a different project. 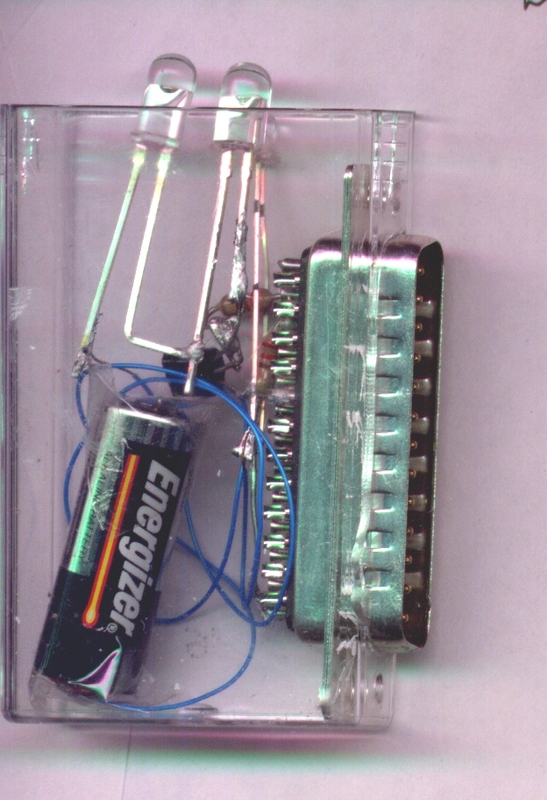 In this IR remote project I used a tic-tac box, sans cover, and free formed the circuit around the parallel plug itself. A 12V car alarm remote battery powers the IR LEDs when it needs to fire. The little one is a photo-transistor used to "learn" the IR code from an existing remote. A long time ago, before I knew about IPC compliance.